On Monday evening Ballingarrys under 14 girls had their first league outing at home to Kilcolman. While starting brightly the visiting defence and keeper were in fine form and at kept the homeside at bay for long periods of the first half. 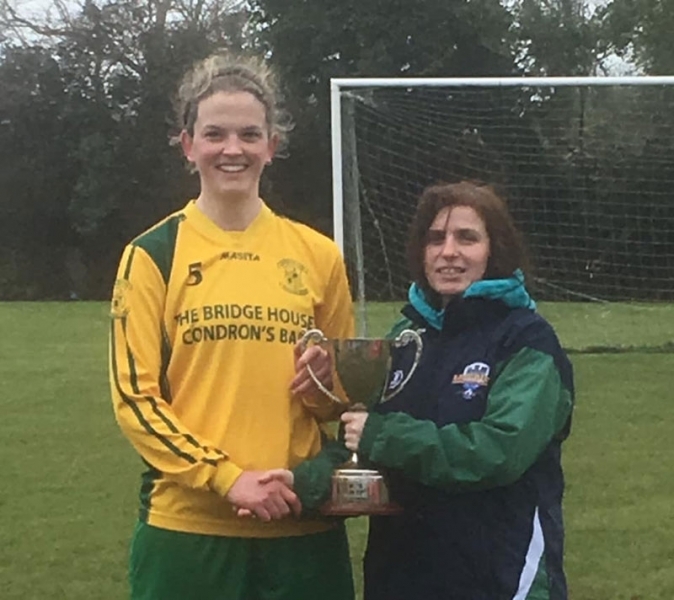 Eventually Ballingarry broke the deadlock with a fine goal from Katie Lawlee. They went in 3 up at the break with another from Lawlee & one for Kate O’Connor. The second half saw a second for O’Connor and 2 from Donna Kenny while Lawlee found the net in the closing minutes to complete her hat trick. 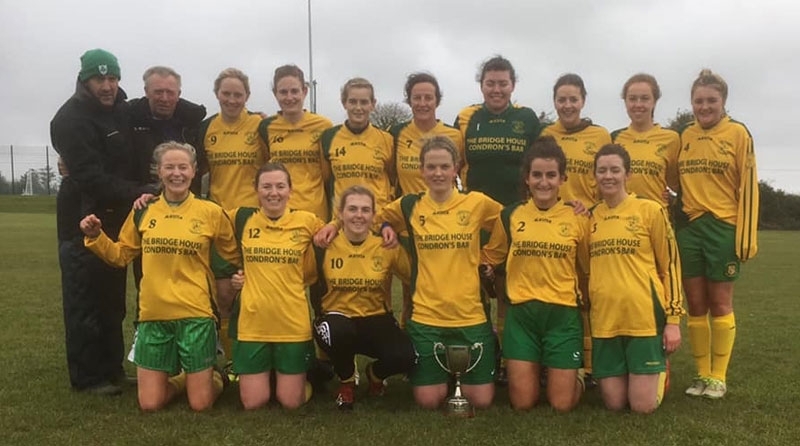 Ballingarrys Ladies retained the Premier division title in style rounding off their league programme with a massive 7-0 win at Kilcolman. This is their 6th top flight title in all and continues their remarkable achievement of winning a trophy every season since the league was formed. Congratulations to Aidan Lynch and his squad of players.